Could your posture be preventing you from getting that promotion? According to body language expert Patti Wood, nonverbal communication is an essential skill not to be overlooked in the workplace. From the science behind your stance to training your mind for successful interactions, Wood shares her insights on how to take charge and make a few subtle changes that will boost the quality of your relationships and jumpstart your career. When persuading or making a request, Wood has found that women often tilt their heads and make themselves smaller. She also frequently observes the "invisible question," in which women tend to lift their voice at the end of a question instead of bringing their voice down in demand. Wood cautions that in speaking with men, it is crucial to ensure there is a clear alignment between what you say with your voice, body language and words. Men as a gender typically do not understand a soft request or criticism: "If you say really sweetly ‘You know, you’re really messing up,’ the guy thinks, ‘Well. I must not really be doing too badly – she wasn’t really mad." Wood explains that how you hold your body sends a message to your brain with your emotional state. For instance, when your body is closed up – your arms and legs crossed, core hunched over – you express a sense of tension. Since the chemicals that match this state are actually produced in the brain, Wood says you’re filling a neurological prescription by how you hold your body – and you have the power to change how you feel based on your physical positioning. In research conducted on interviewing, when people held themselves closed, their stress chemicals such as cortisol rose. However, when they held their bodies open and took up space, their stress hormones were reduced. The bottom line: "Whether you’re relaxed or tense, it’s communicated to your internal pharmacy the same way." Power is communicated externally by the amount of space you take up. Make yourself big by holding your body up and unfolding your arms with your legs slightly apart. In research, there was a dramatic difference in the way job candidates felt and how they came across to other people simply based on their body language prior to interviewing. Hold your body the way you want to feel and the way you want to come across to others. We’ve all been there – desperately trying to convey critical information to another as they nod back absent-mindedly or dismissively, clearly not absorbing a word. Nothing is more irritating! Pay others the respect they deserve by making an effort to stay present in conversation and actively listening to them. 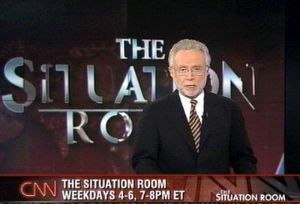 Wood cites her role model for this skill as Oprah Winfrey: "With her ability to connect one on one and really listen and hear, you know she’s taking note of exactly what someone is saying." Oprah has also been deemed the most influential woman in the world by some sources. Coincidence? You be the judge. In working with professionals from some of the world’s top organizations, one of the mistakes Wood often sees is that they are too self-focused. Instead of worrying about what they’re saying with their words, she urges leaders to be more aware of those they are communicating with and how to make them more comfortable. Wood recommends starting a business interaction with the mind set of wanting to understand the other person. Before it’s over, ask yourself, "Do I understand what they’re feeling? "– a tactic that is sure to result in a positive outcome. When it comes to speaking in public, we tend to step back and cross our arms as we ask for questions at the end of a speech. Wood points out that people often point their feet toward the exit as they are wrapping up, which gives the impression that they are running away. Instead, face forward and start or finish your speech by stepping toward the audience and opening up your stance. Wood notes, "Not only is it dramatic in how it looks, but it also changes the way you’re feeling toward the audience" – so step into the limelight! Many intelligent people are unconscious of the nonverbal messages they communicate and therefore struggle in their attempt to connect with others. The best way to ensure you are always putting your best foot forward is to develop an awareness of your tendencies with a thorough self-evaluation. Wood recommends that you begin by closely analyzing your nonverbal signals throughout the workday. "When you come into work, who do you talk to and how do you sit at your desk? When do you talk in meetings and where do you sit at a conference table? When you go to sell an idea or product to somebody, how do you go into their office or workspace? Where do you sit and how do you sit?" By looking at these behaviors and asking yourself what you would do if another person acted the same way, you gain a new perspective that allows you to identify areas for improvement. Although becoming a great communicator is a challenge requiring much practice and attention, mastering the science of body language will not only enhance your interactions and relationships, but will also set you apart in any stage of your career. 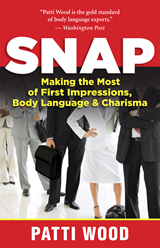 Pick up Patti Wood’s latest book, "Snap – Making the Most of First Impressions, Body Language & Charisma," for the ultimate guide to letting your best self shine.